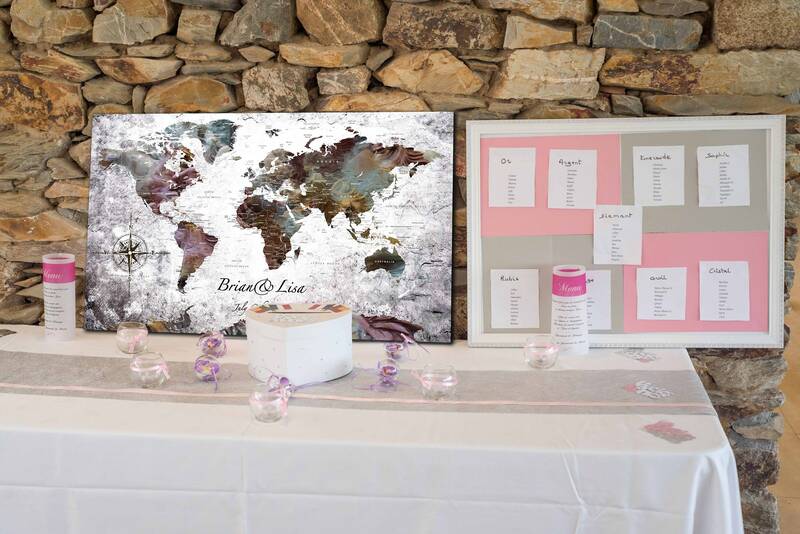 Make your wedding unforgettable with this beautiful travel map. 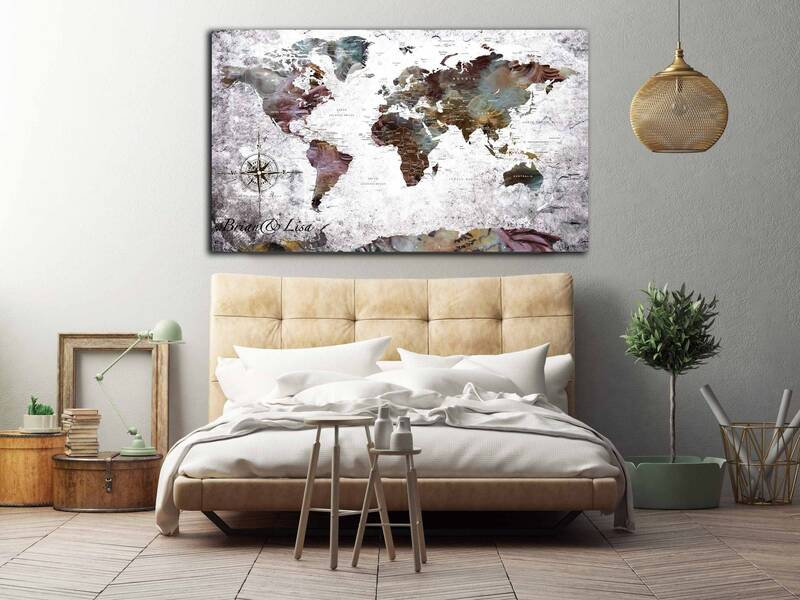 Customized your canvas from this shop. 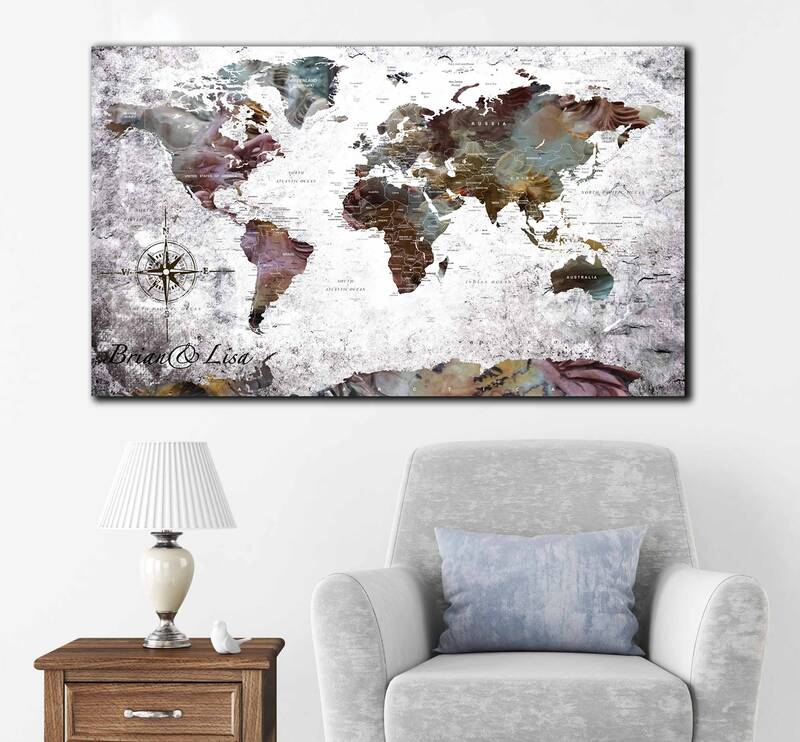 Any of my art can be personalized. 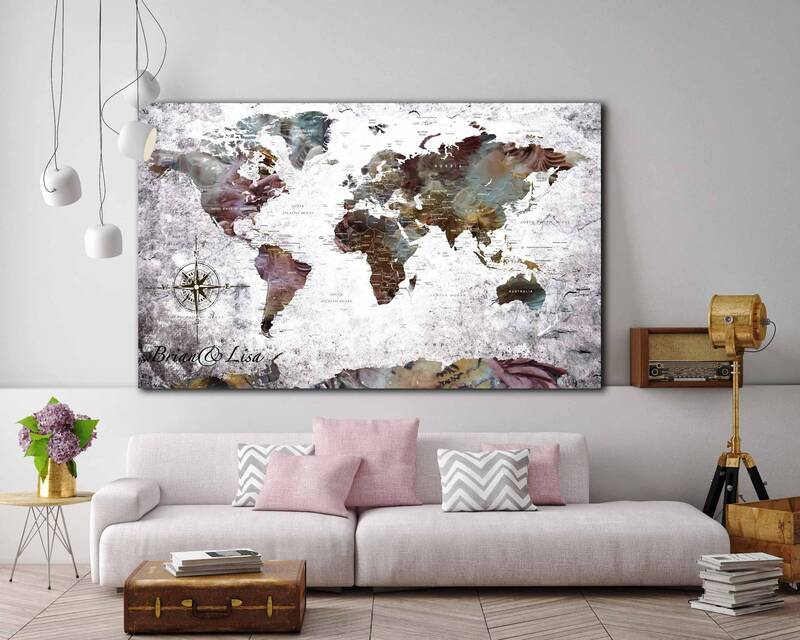 Ready to hang canvas world map.